We send out a regular newsletter with news, ideas, resources and other great stuff. Sign up by clicking the link below and we'll make sure you don't miss out on the next one. October - Strandz Newsletter - Hello October! 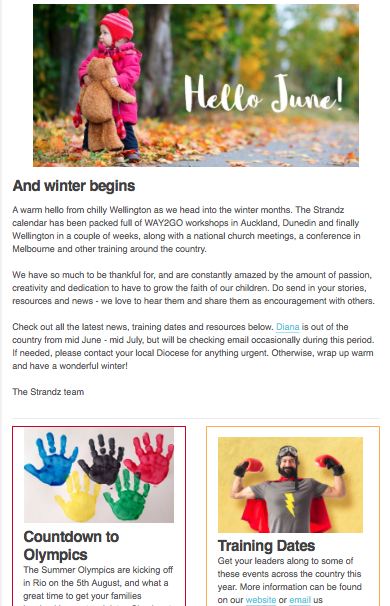 September - Strandz Newsletter - Hello spring!